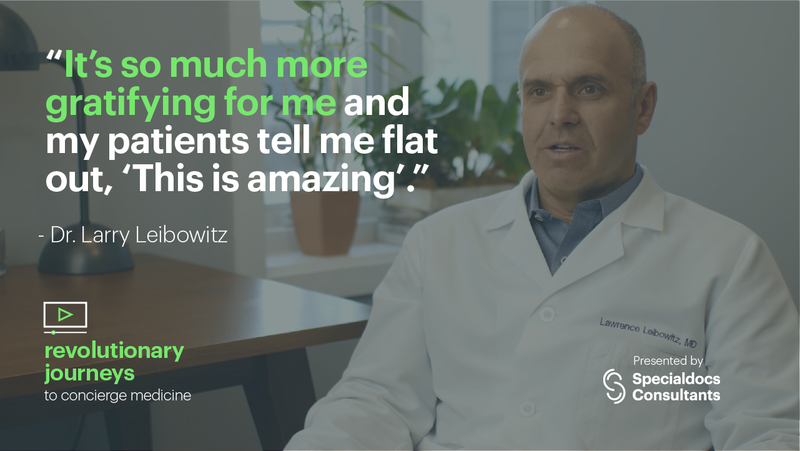 Dr. Larry Leibowitz, a family medicine physician in New Canaan, Connecticut, describes his journey to concierge medicine and how Specialdocs Consultants made his transition possible. Revolutionary Journeys to Concierge Medicine is a video series, presented by Specialdocs Consultants, depicting the paths of physicians who’ve transitioned from traditional practice to a concierge model practice. In their own words, the physicians illustrate the continuing challenges of the traditional practice model and how they were able to make a successful transition to concierge medicine.